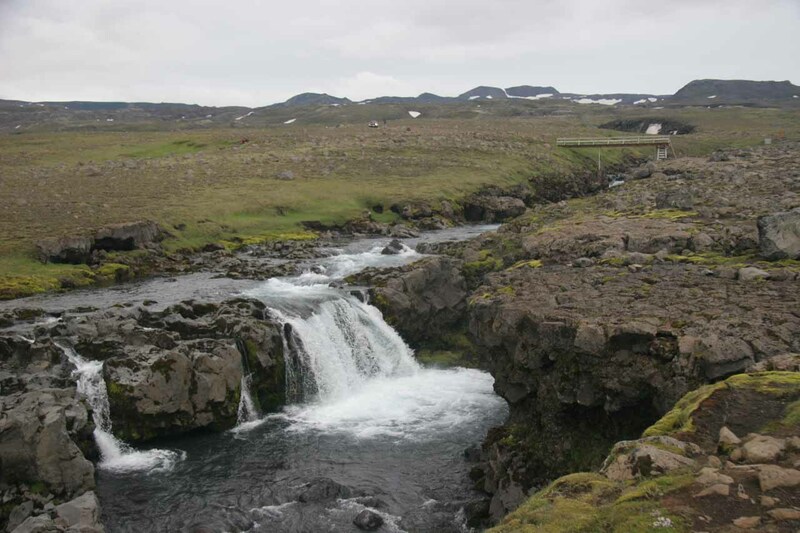 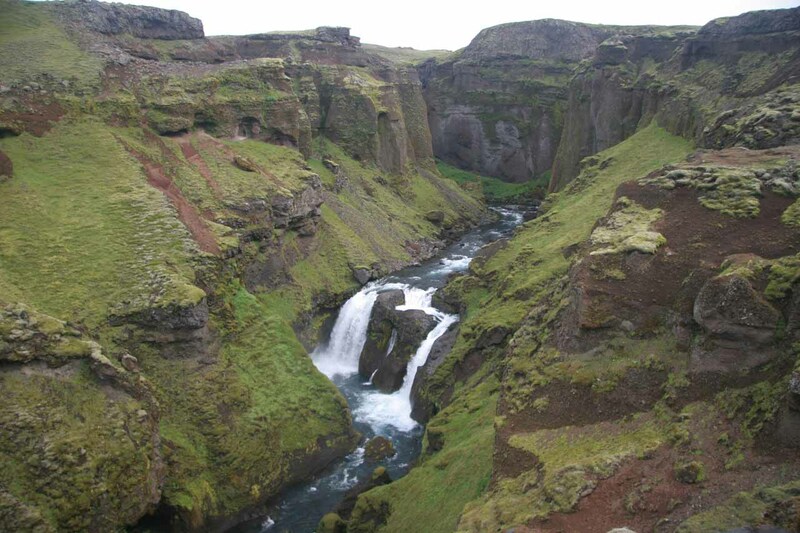 The waterfalls on the Skoga River (spelled Skógá in Icelandic) are so numerous that it was almost overwhelming to me. 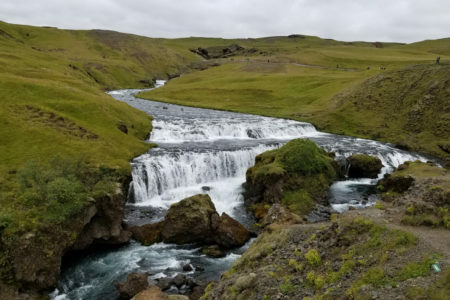 Just to give you an idea of how waterfall saturated I was on this one hike alone, I counted about 26 waterfalls, 23 of them were on the river itself, and this was not counting Skógafoss. 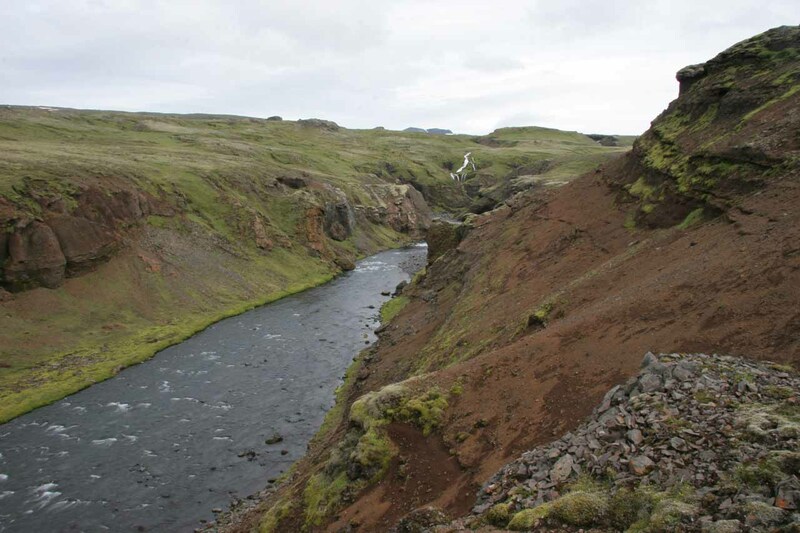 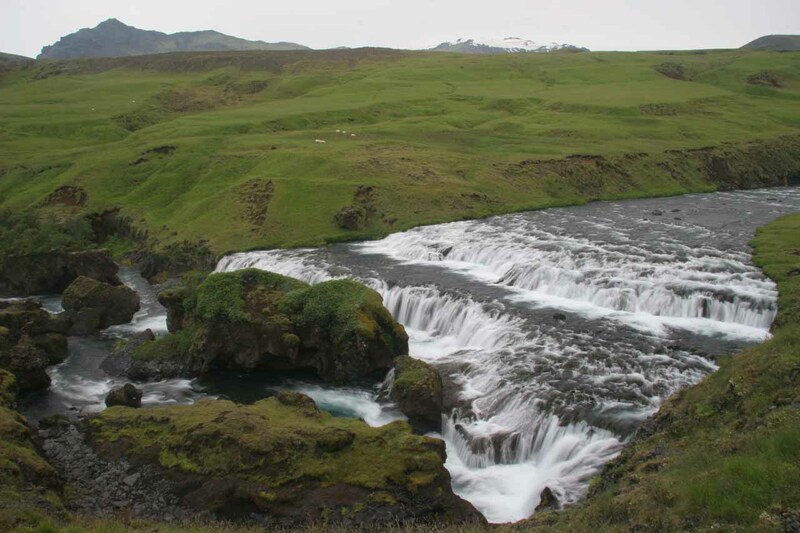 The stretch of river that I witnessed started from the top of Skógafoss and ended at the bridge near the sign you see at the top of this page. 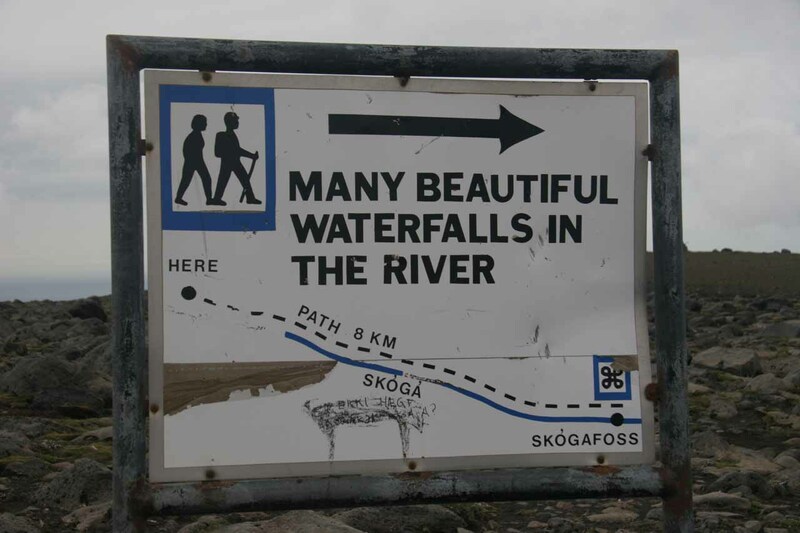 In case the graphic is not immediately clear, it says, “Many beautiful waterfalls in the river” and it further indicates that it’s an 8km walk in each direction. 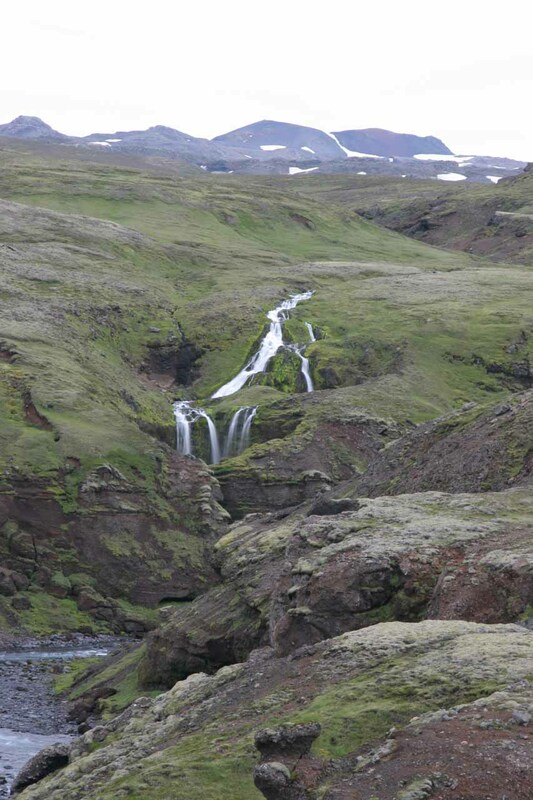 Of the 26 waterfalls that I counted, at least three had to have been over 30m tall plus many more that were close to that size. 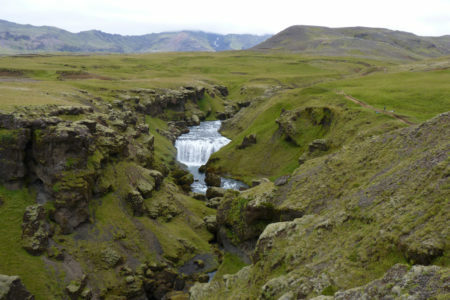 This series of waterfalls also featured several varieties of shapes and sizes from the wide river types to the tall plunging ones. 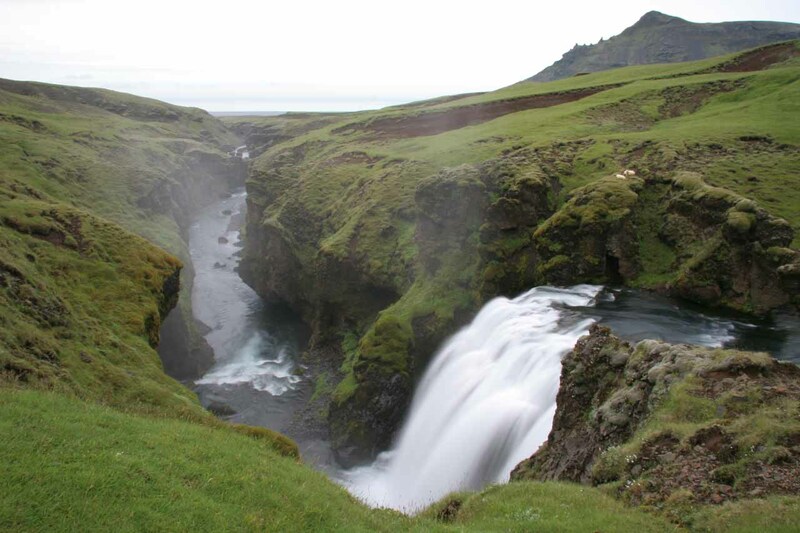 To my knowledge, none of these waterfalls were officially named (not counting Skógafoss at the very bottom). 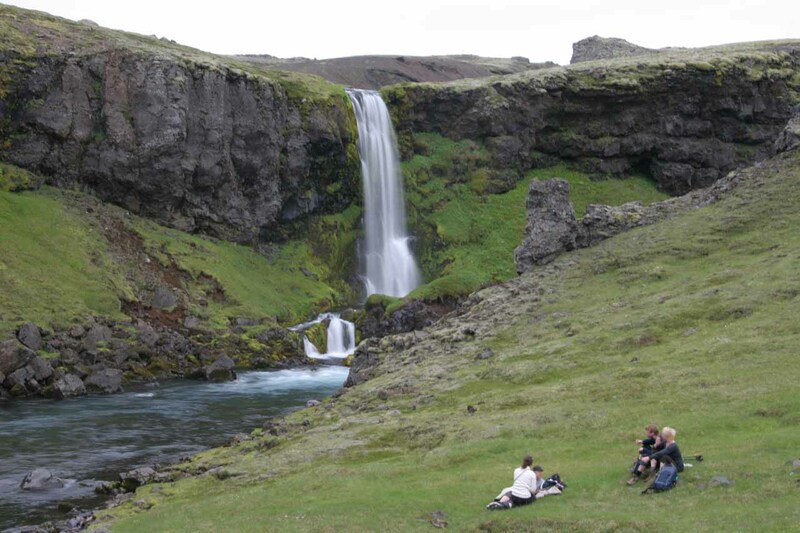 So add it all up, and I’d argue that if you were looking for waterfall saturation, this trail would certainly do the trick. 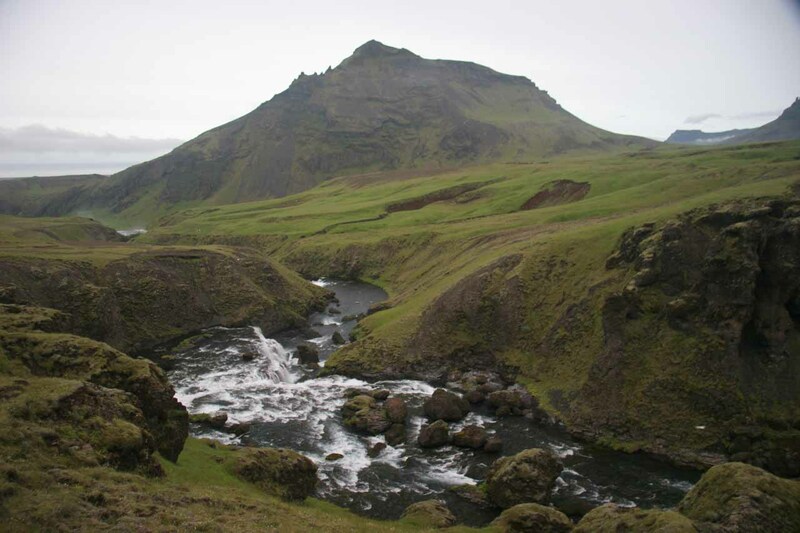 It took me about 8 hours to do the out-and-back hike (starting and ending at Skogafoss and not counting the additional 25 minutes each way I was walking to and from the Hotel Edda nearby where we were staying). 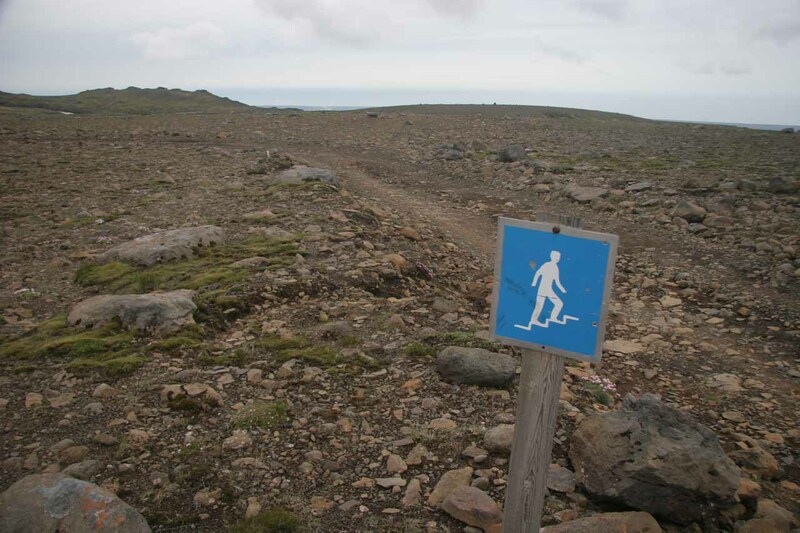 This long trail seemed to be part of a much longer backcountry trail that hardier hikers and backpackers with more time on their hands would do. 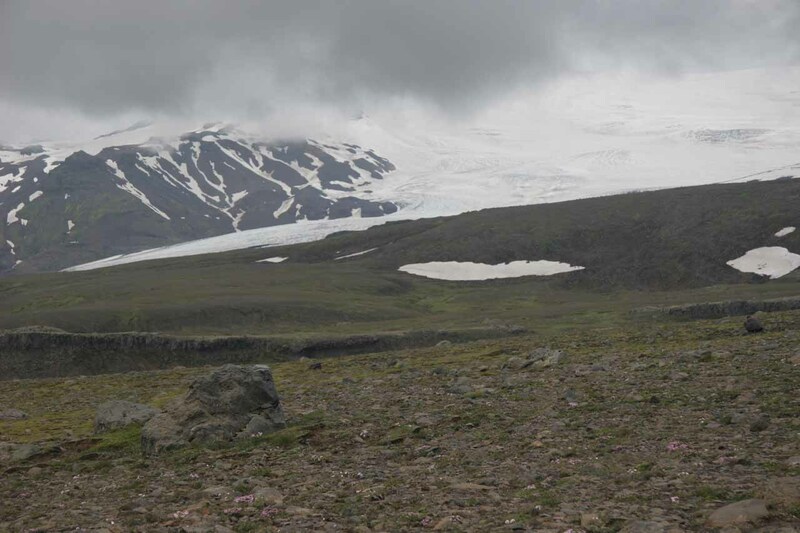 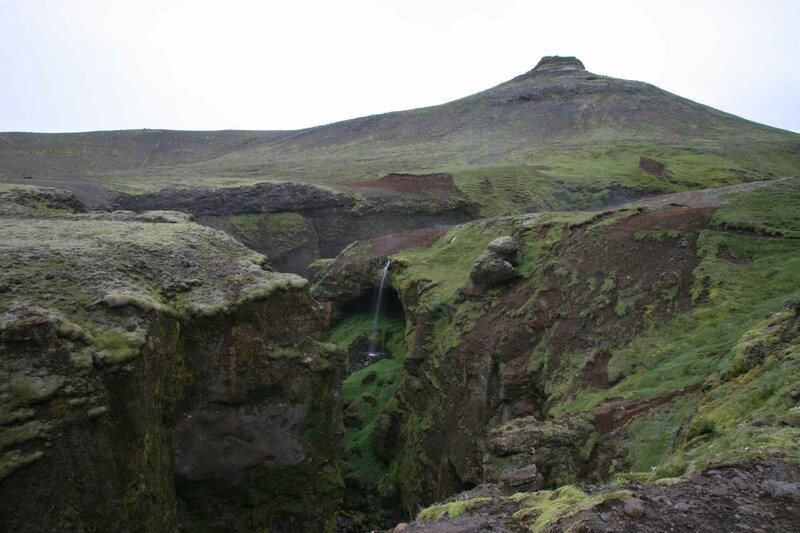 Beyond the last waterfall, it appeared the trail continued onto the mountain hut at Fimmvörðuháls. 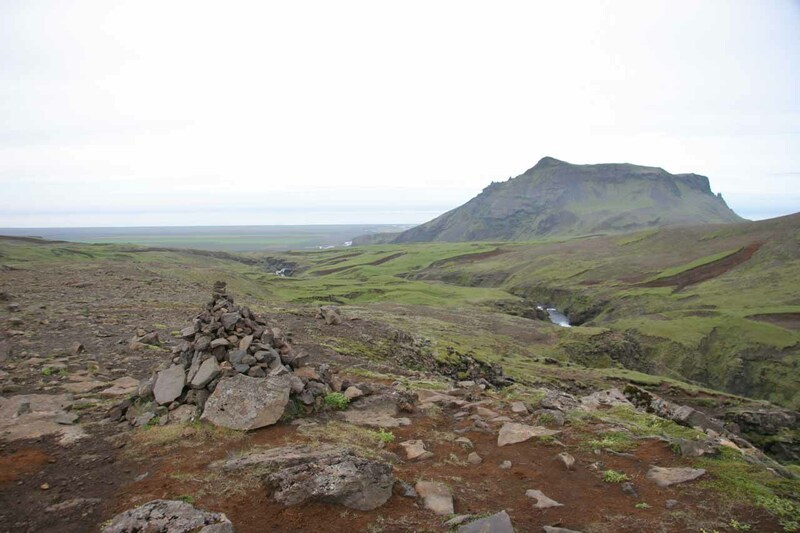 The trail even continued beyond that towards Þórsmörk and even Landmannalaugur. 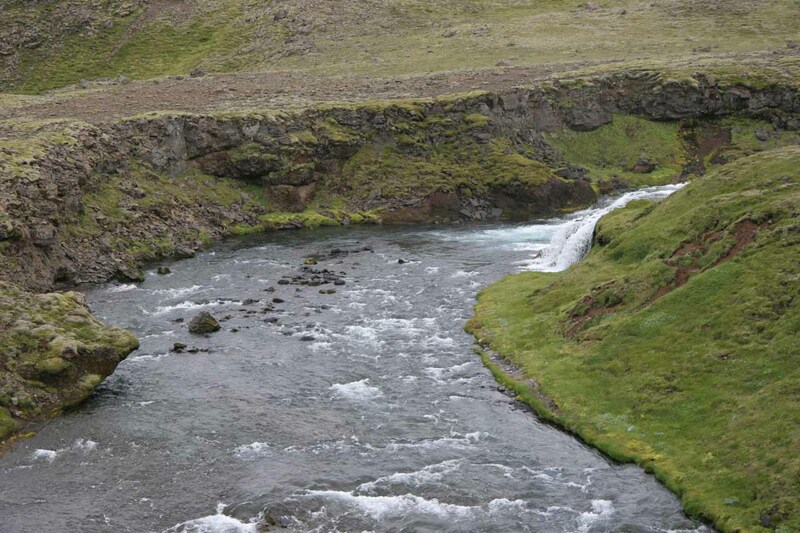 Generally, this trail was all uphill since I was going against the direction of flow of the river. 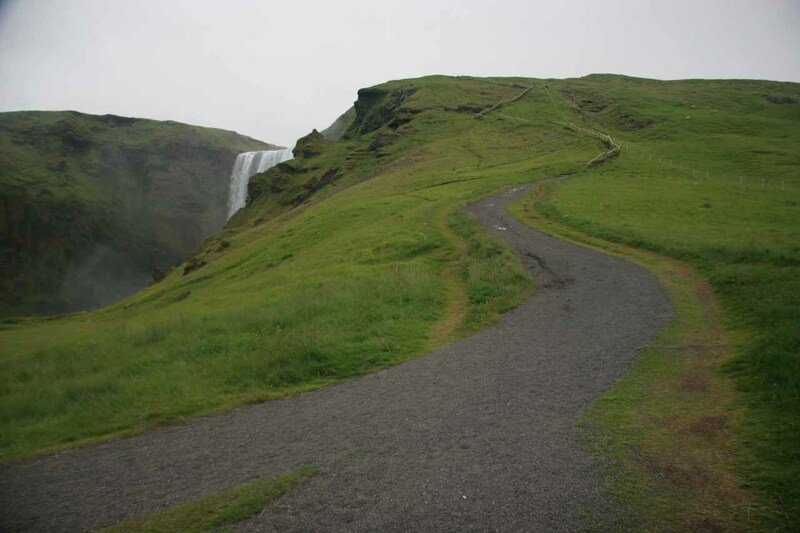 Thus, the return hike went by much quicker since it was all downhill. 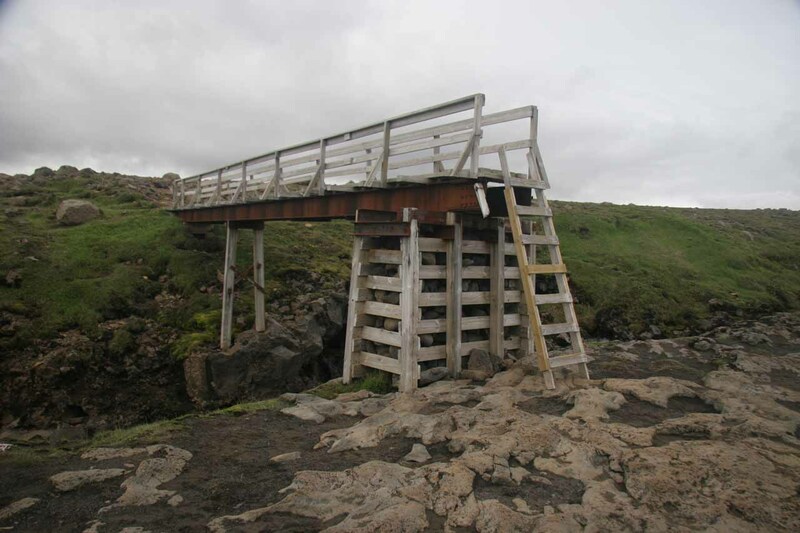 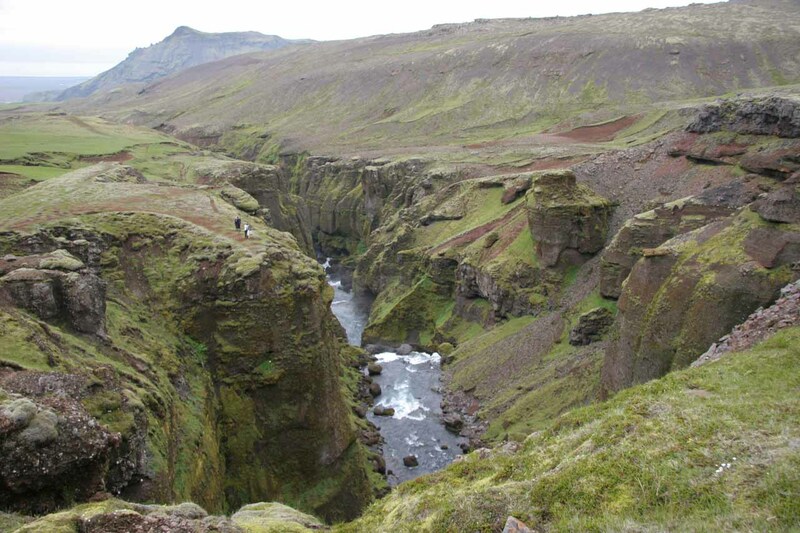 I do have to caution that there were no guardrails or other kind of infrastructure preventing me from getting too close to the unstable cliff edges. 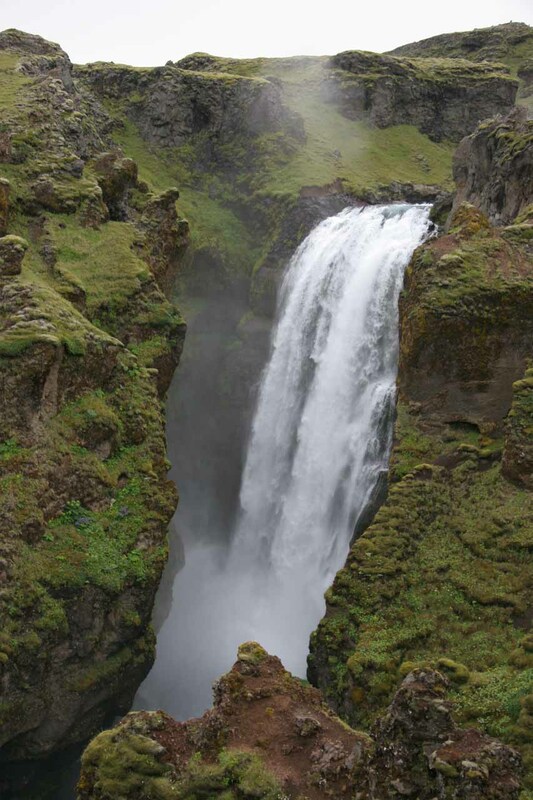 That would be something to consider when you’re trying to improve your viewing angle for some of the falls to be found here. 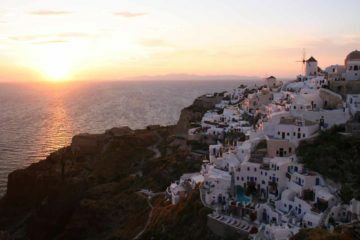 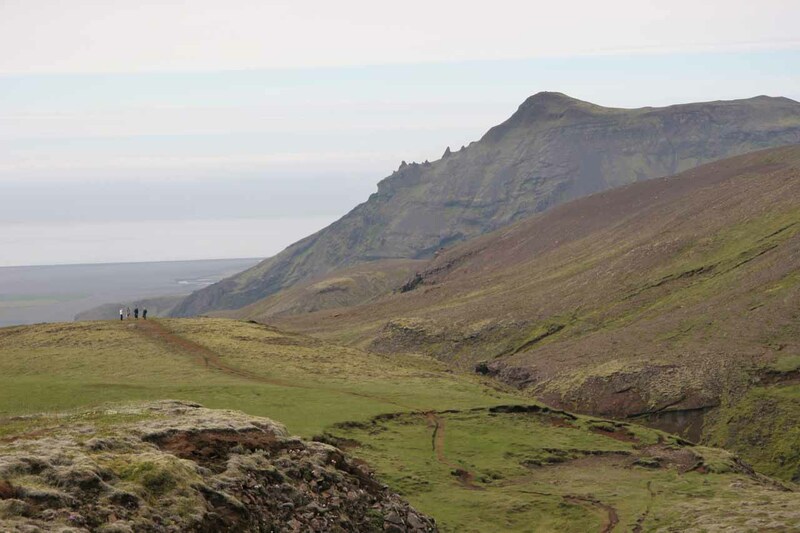 Although it’s possible to hike from north to south, I did this hike going from south to north. 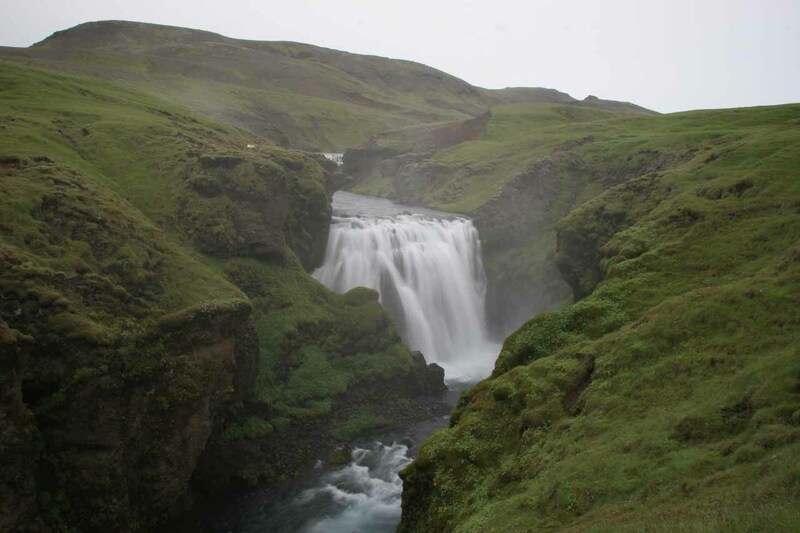 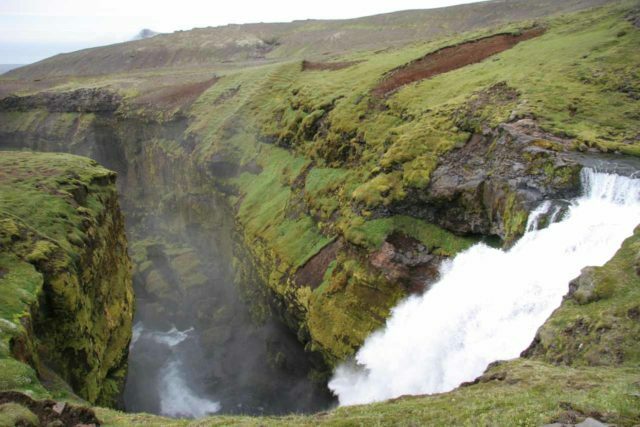 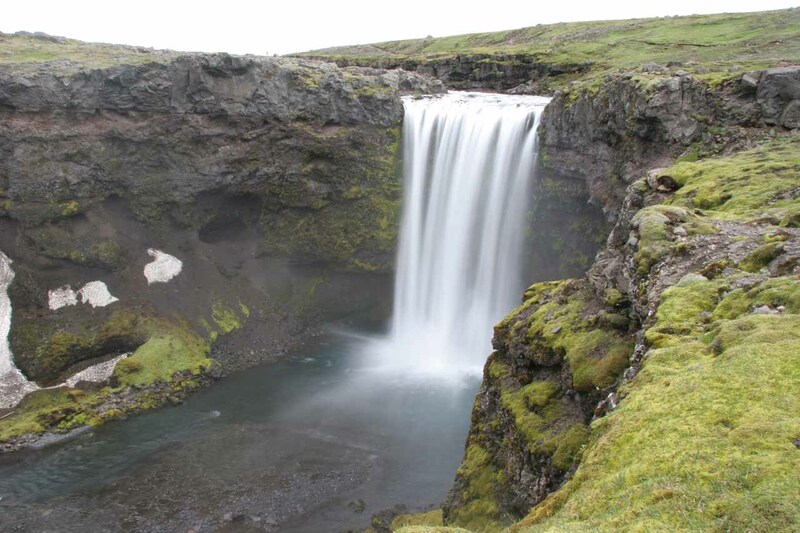 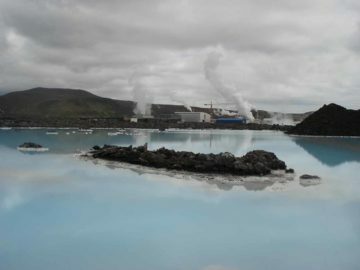 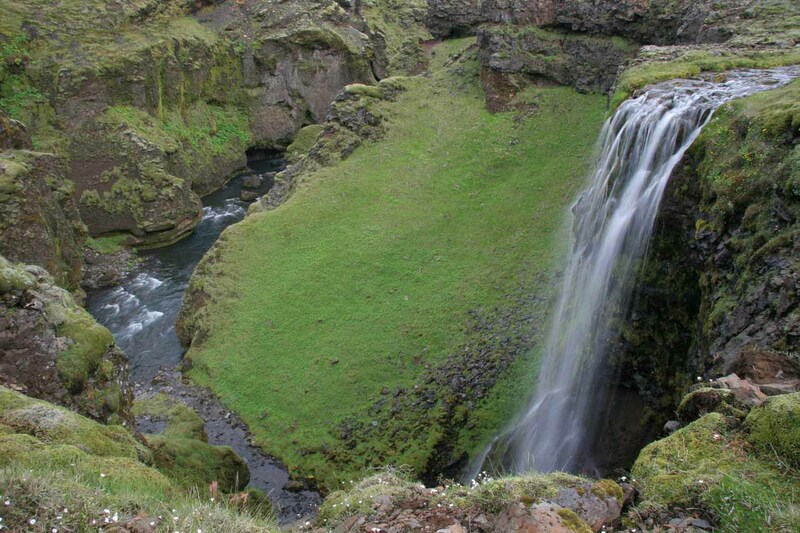 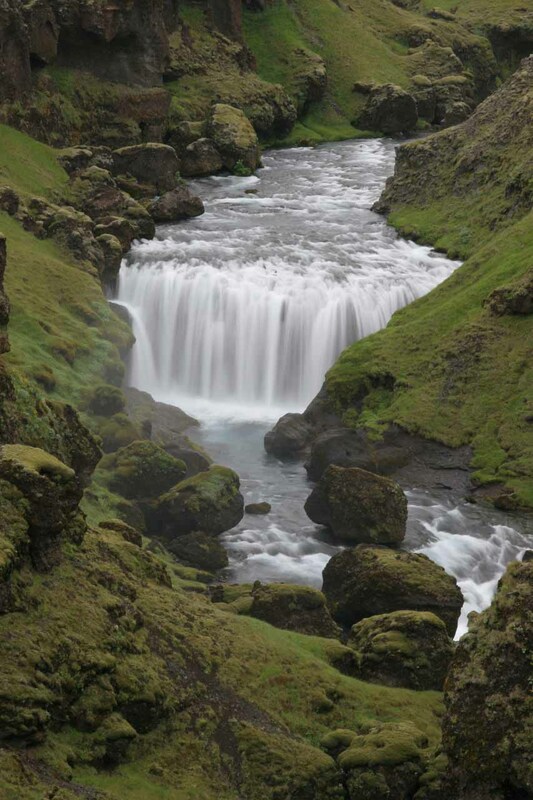 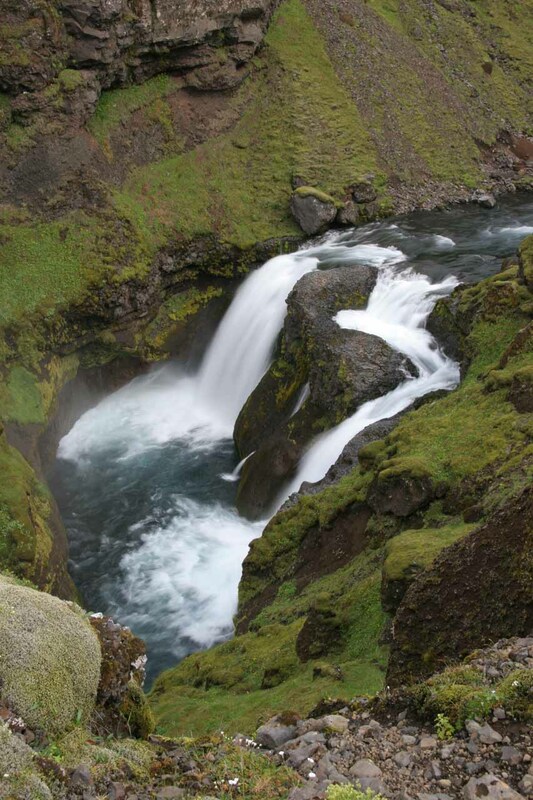 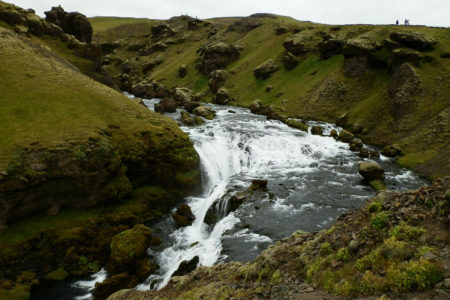 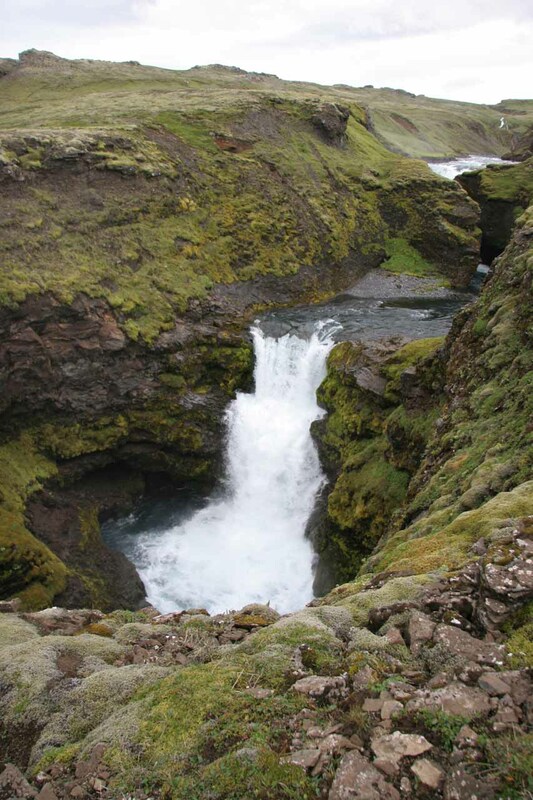 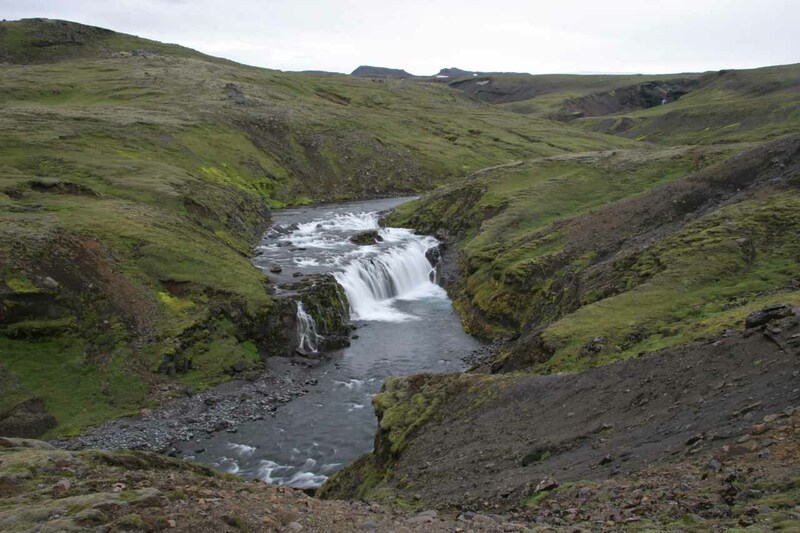 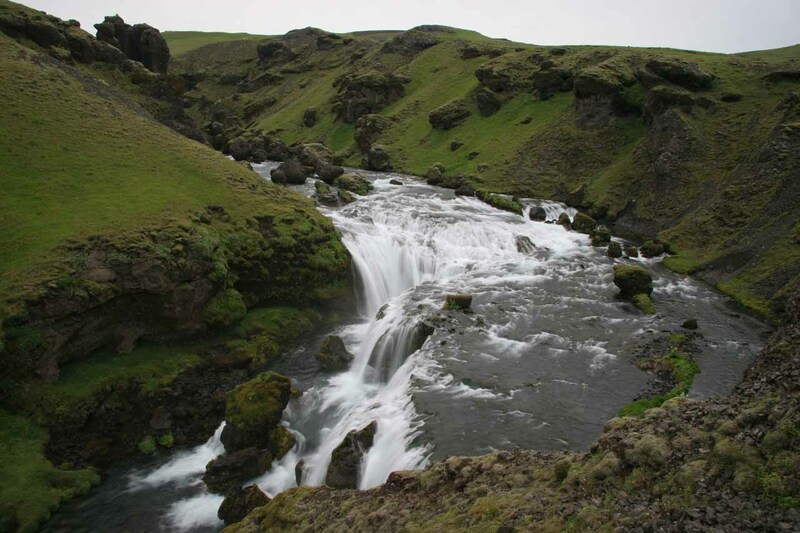 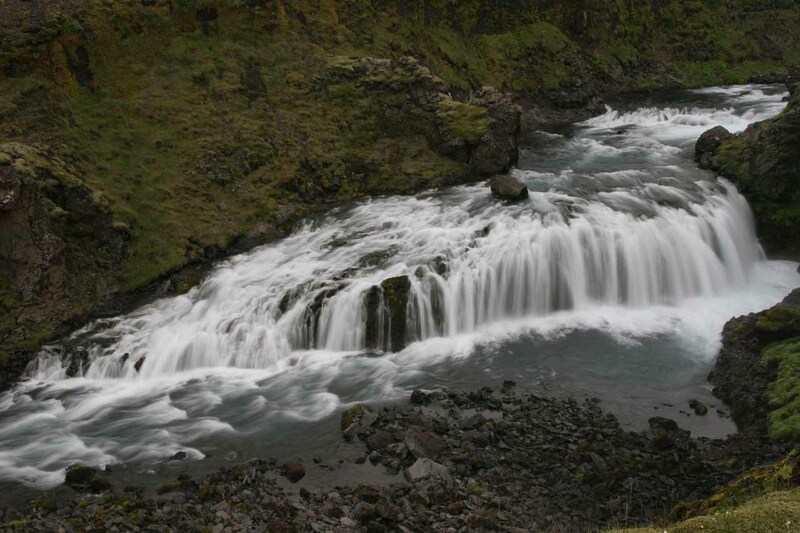 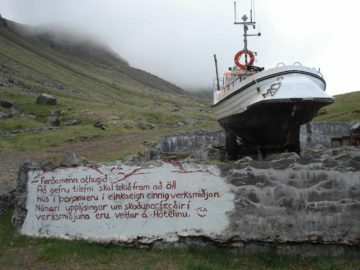 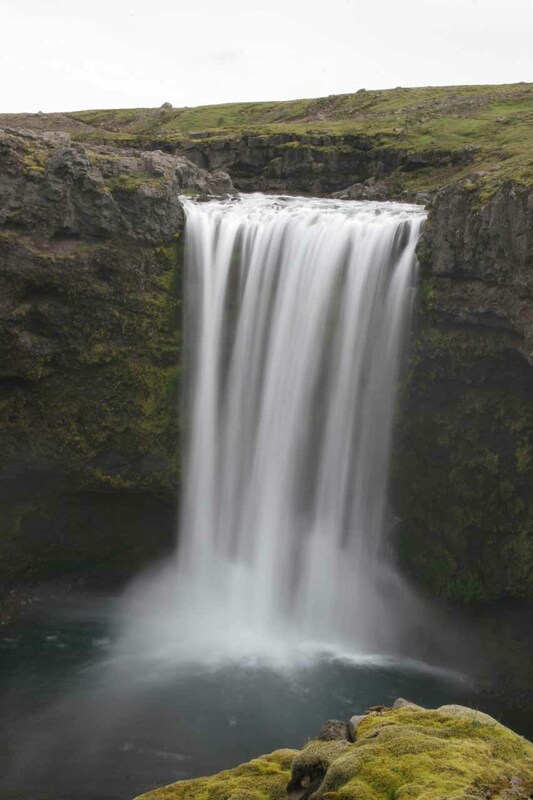 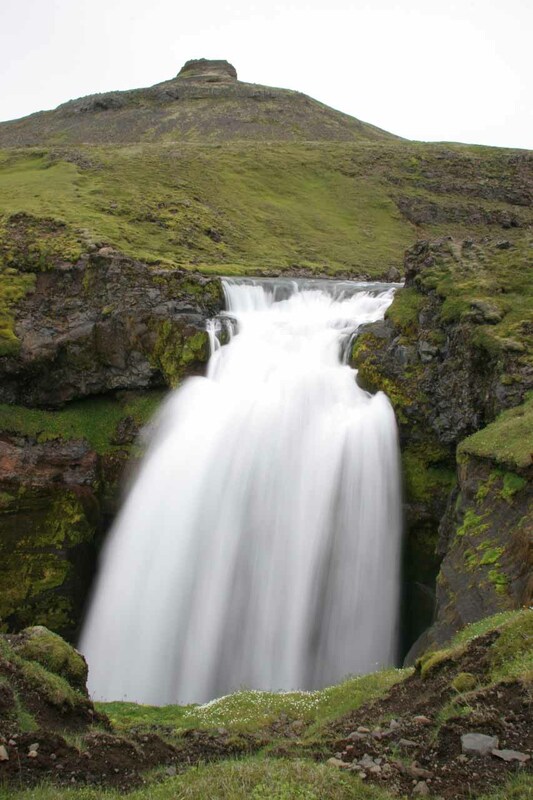 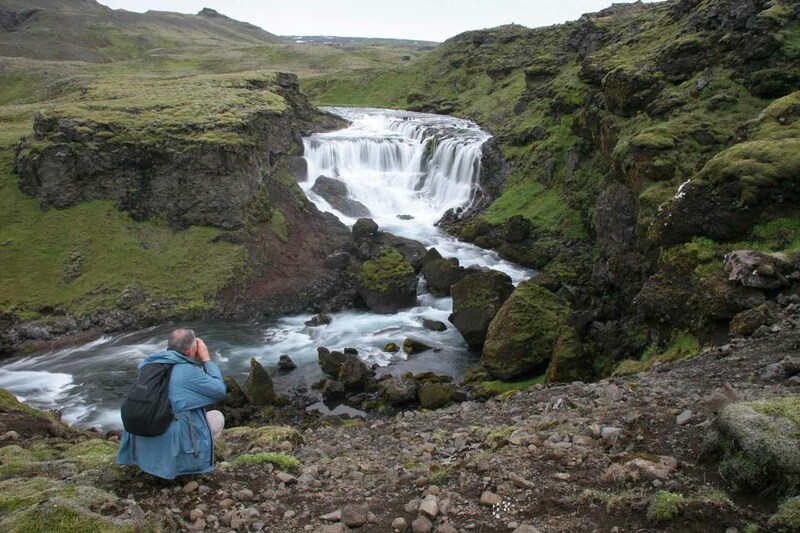 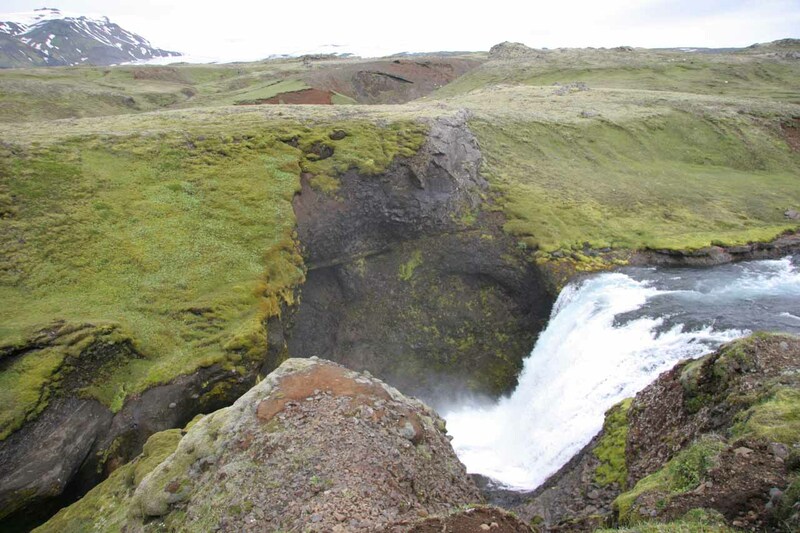 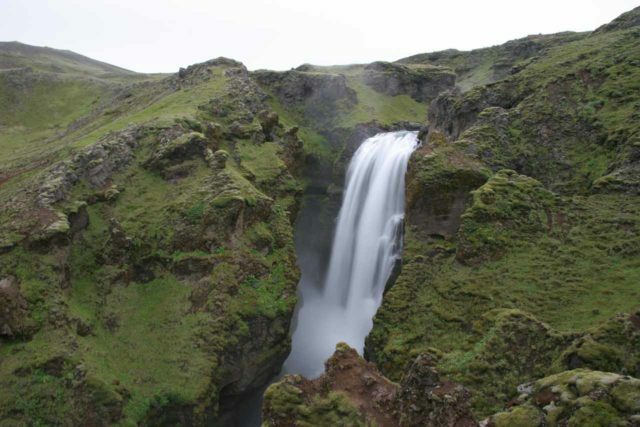 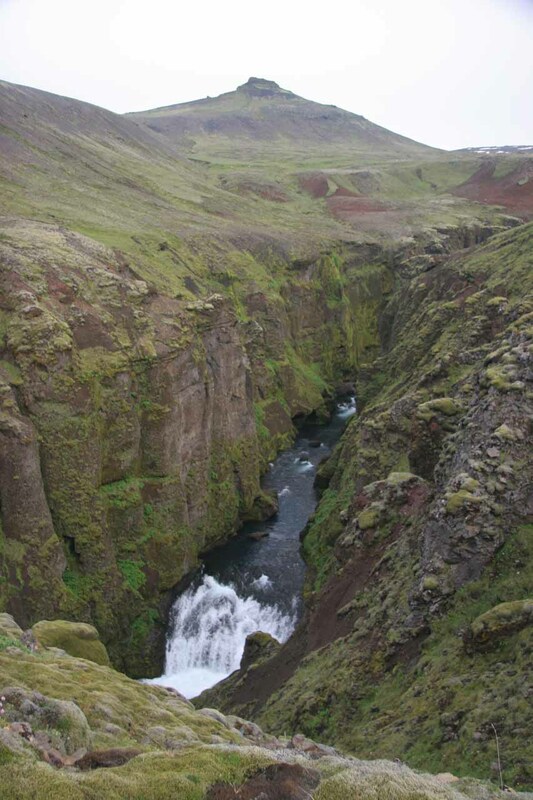 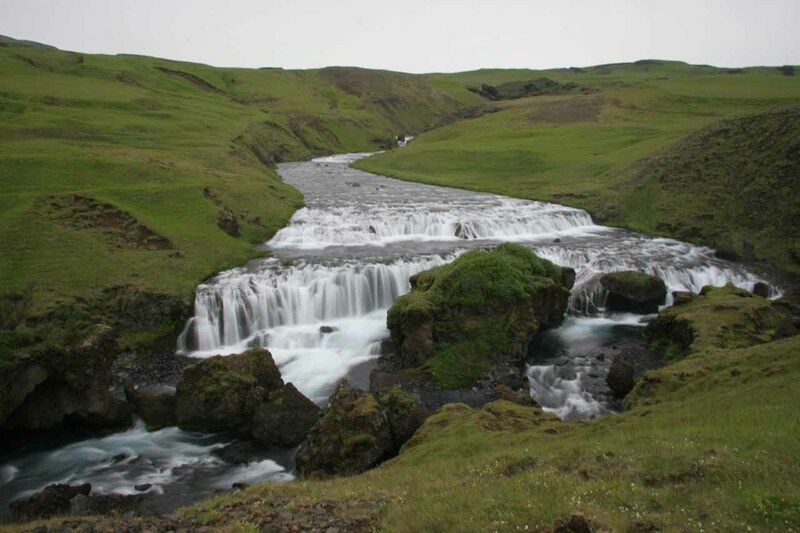 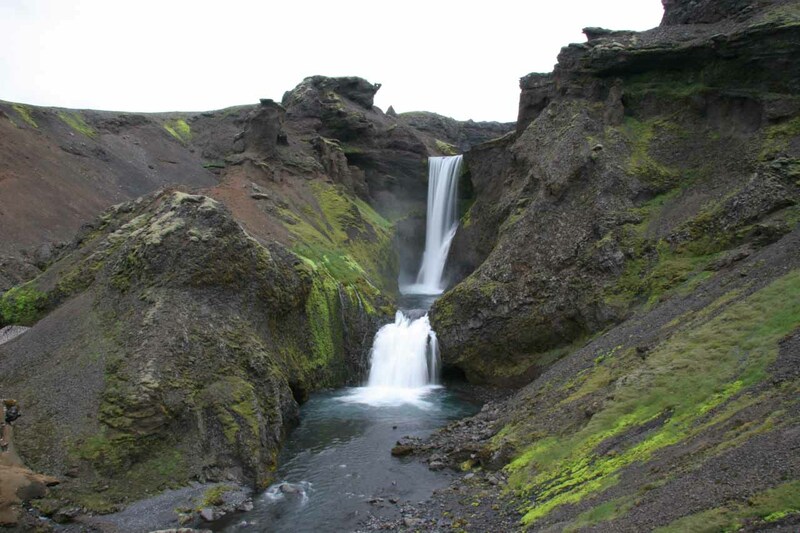 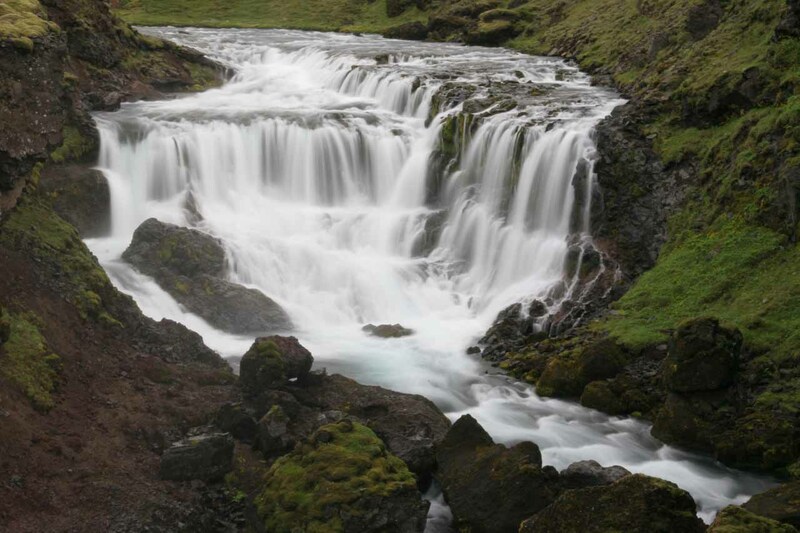 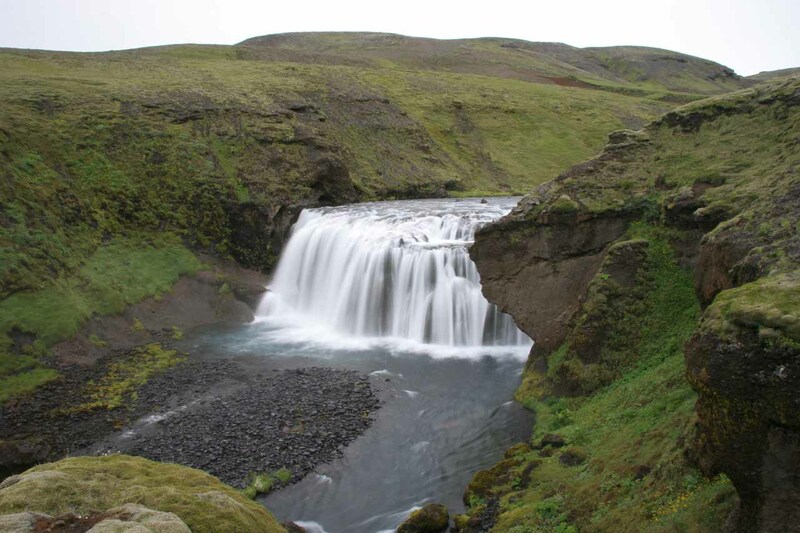 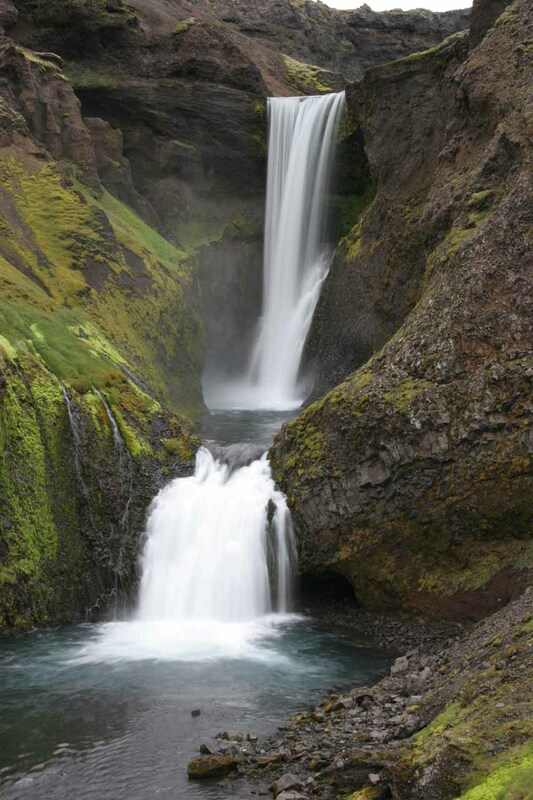 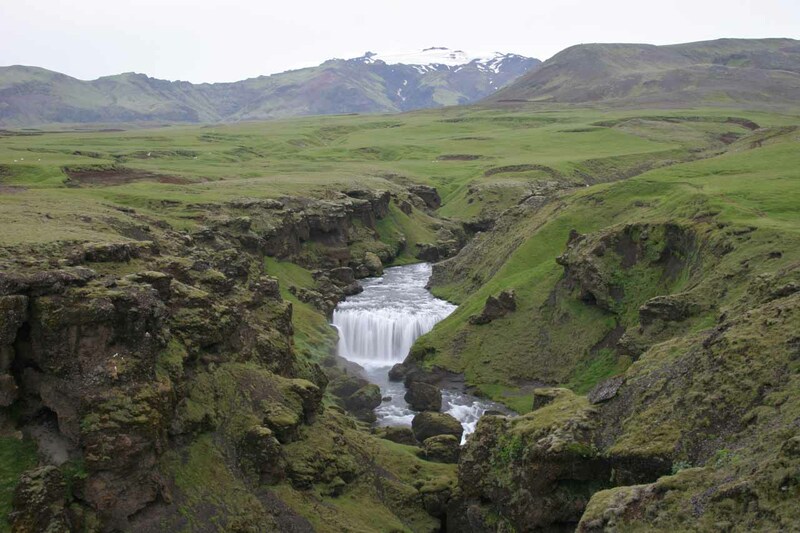 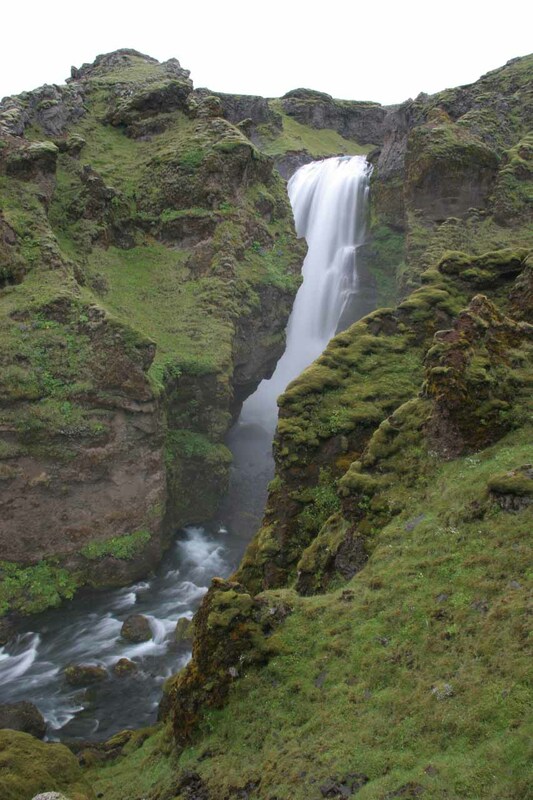 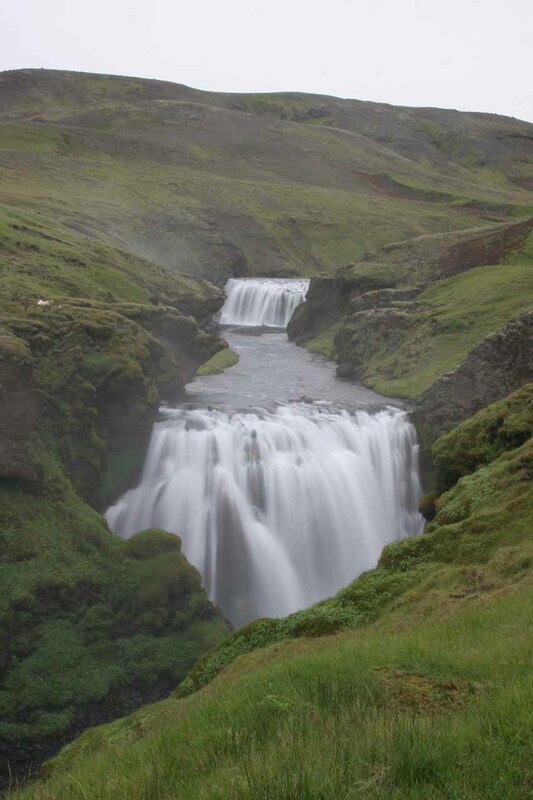 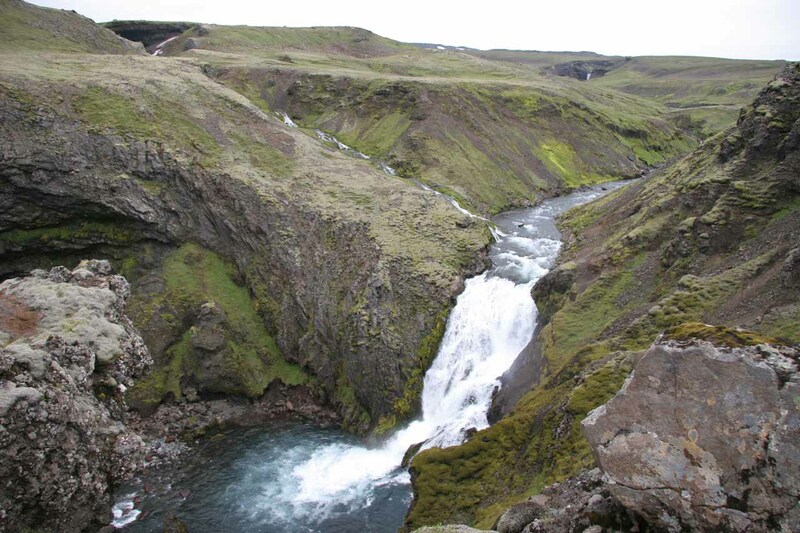 Therefore, the trailhead is the same as that of Skógafoss by the hamlet of Skogar. 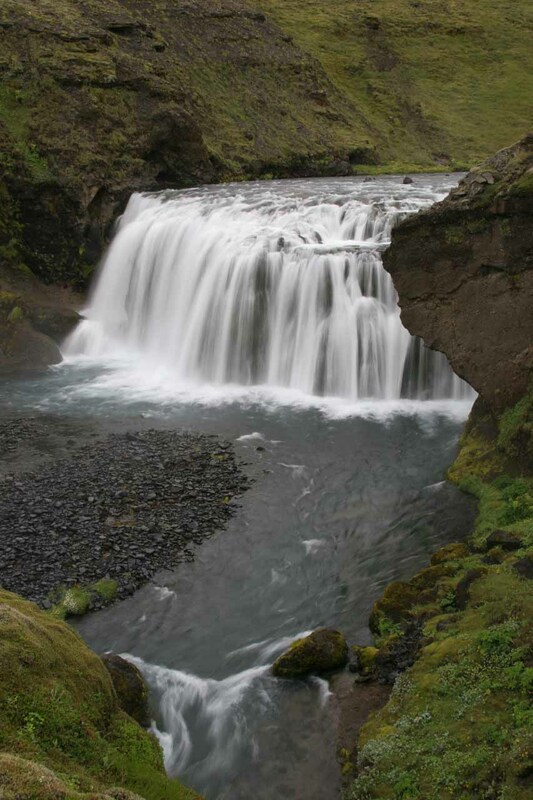 See that waterfall page for specific driving directions. 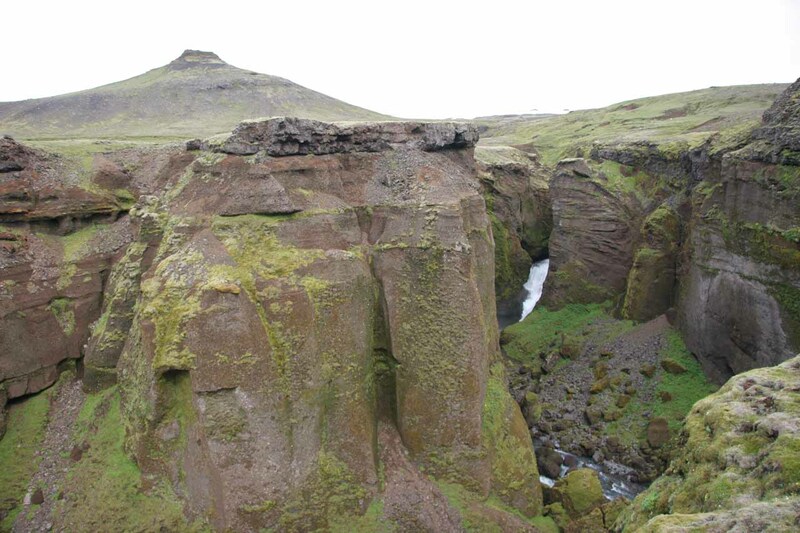 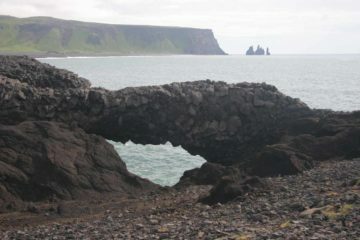 For additional context, Skogar was 149km (2 hours drive) east of Reykjavík and 102km (over an hour drive) west of Kirkjubæjarklaustur. 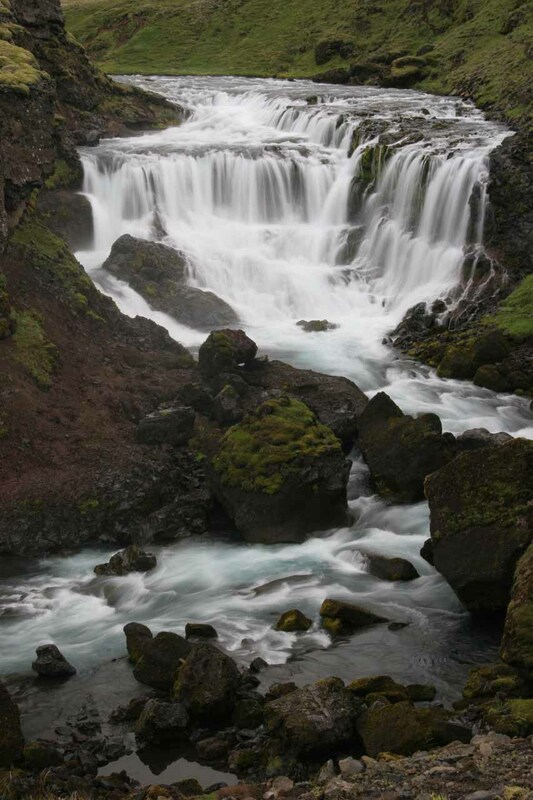 This was one of the real tripod-friendly waterfalls I encountered on this hike. 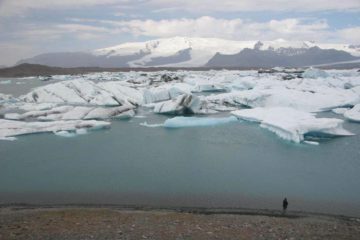 Boy was I glad I took the trouble to lug it along!